MIAMI COUNTY — Miami County Common Pleas Court Judge Jeannine Pratt said she was sending a message to those who commit crimes and burglarize homes in Miami County by doling out two high-end sentences to a pair of Troy residents who broke into approximately 18 homes in 2017. 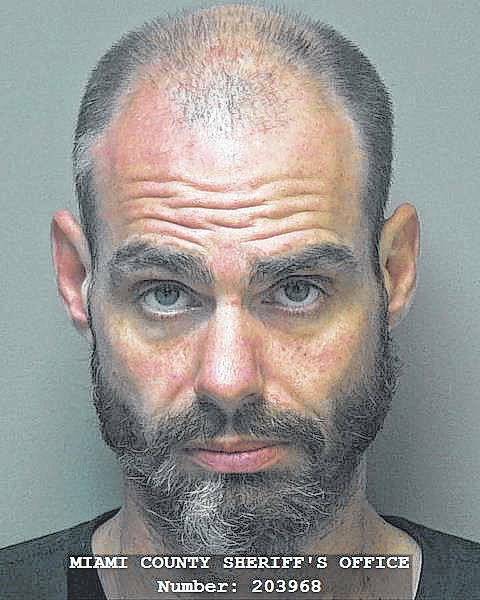 Mark Burgin, 39, of Troy, pleaded guilty to first-degree felony engaging in a pattern of corrupt activity along with multiple other theft and burglary charges last month. Burgin was sentenced to serve 20 years total for the variety of charges related to 18 home break-ins. Burgin was recently sentenced to serve five years on related charges in Warren County. The Miami County and Warren County sentences will run concurrently. “Everyone has the right to feel safe in their own home,” Judge Pratt said. Pratt said the high-end sentence was to send a message that those who commit burglary and related crimes in Miami County will go to prison for a long time. Burgin was also ordered to pay $13,178 in restitution to the victims of his crimes. Upon his release from prison, he’ll be placed on mandatory five years of post-release control. Victims’ losses ranged from $100 to $9,488 in Miami County. Public defender John Herndon said Burgin has fought addiction his whole life, which he offered as an explanation, not an excuse of Burgin’s actions. Herndon said Burgin was cooperative and helped close a lot of open burglary cases and was remorseful for his actions. Burgin apologized to those he victimized — an estimated 50 people — and their families. “I’m a drug addict … embarrassed of my actions,” Burgin said. Co-defendant Angela Roberts, 30, of Troy, also entered a guilty plea to first-degree felony engaging in a pattern of corrupt activity and multiple burglary charges. She was sentenced to serve 15 years on all the charges. Roberts was the “lookout” during 17 of the 18 burglaries she and Burgin were involved in. Roberts also apologized for her actions to the victims of her crimes and their families. “My time in incarceration won’t be wasted,” she said, noting that she plans on participating in a variety of programs while in prison. Roberts, who said, “Drugs took over my life,” has previously served four prison terms. 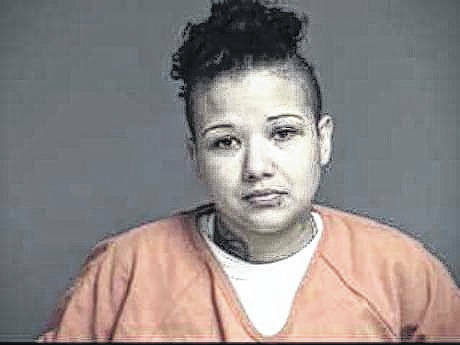 She was previously sentenced to four years in prison in Warren County for her role in the related burglaries with Burgin. “It’s people like you that cause (residents) to lock their doors at night,” Pratt told Roberts. Both Roberts and Burgin were granted 404 days of jail credit for time served. The pair agreed to forfeit the 2002 Toyota Sequoia used in the burglaries. Roberts’ defense attorney, Jay Adams, requested the funds from the vehicle be distributed as restitution to the victims. Judge Pratt said she would review the request once the forfeiture was submitted to the court. Roberts was ordered to pay $12,347 in restitution to victims. Both were suspects in several daytime residential burglaries in Monroe, Bethel, and Springcreek townships in August 2017. Several counties were involved in the investigation into the pattern burglaries that Burgin and Roberts are alleged to have committed, which also span multiple counties in Ohio, as well as Kentucky.